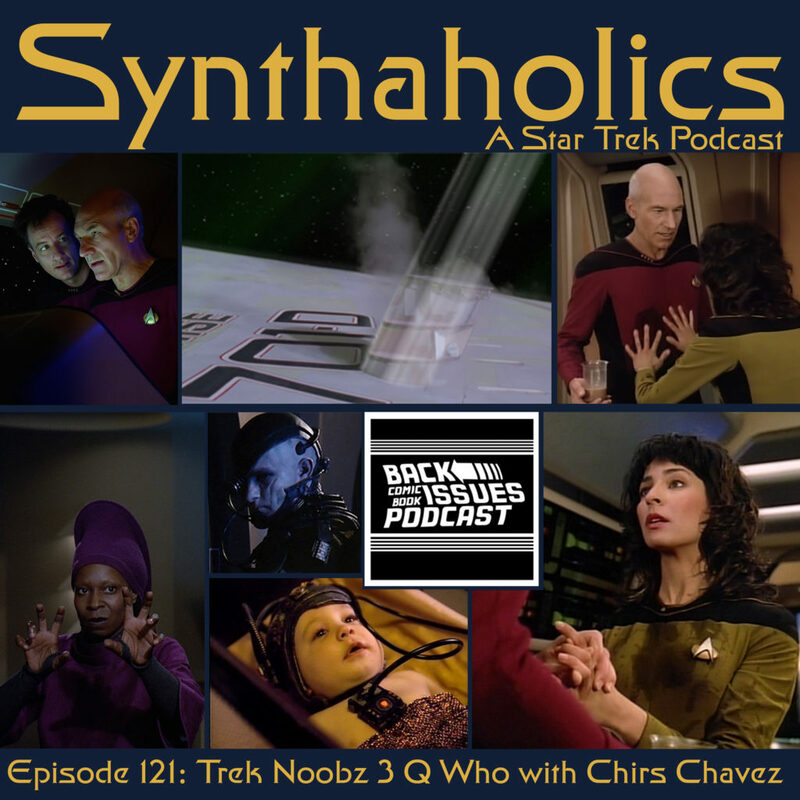 This week Chris Chavez joins us as our Trek Noob to talk about Q Who one of the best Star Trek the Next Generation episodes of season 2! This week Aaron is on vacation and in his stead I have enlisted the help of former guest Natalie Schlichtmann to be my co-host this week! The little bit of news we have this week is the story that Star Trek Discovery will not be held to Roddenberry Rule of no conflict between starfleet officers. We discus this before getting into our main topic this week Q Who. Natalie is my Aaron surrogate and so she breaks down the episode for us and we discuss the ins and outs of this episode. Along the way Chris asks some great questions from his perspective as someone new to Star Trek. We hope you enjoy this next entry into the Trek Noobz series it’s always wonderful to have someone new fall in love with Star Trek! It’s time to pour yourself your favorite drink because it is time for your weekly shot of Star Trek!